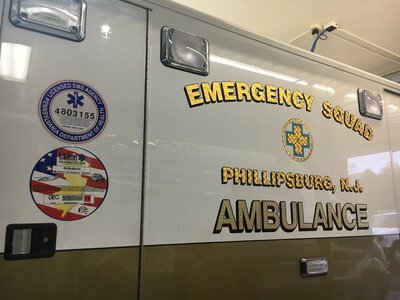 This month the Phillipsburg Emergency Squad received their new Special Services unit. 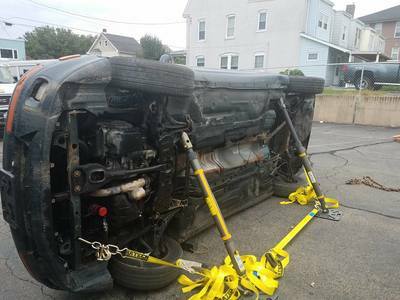 This truck is going be used for water rescue, rehabilitation services, and support services. The truck chassis is from our old 94-53 Ambulance that was just re-chassis last year. 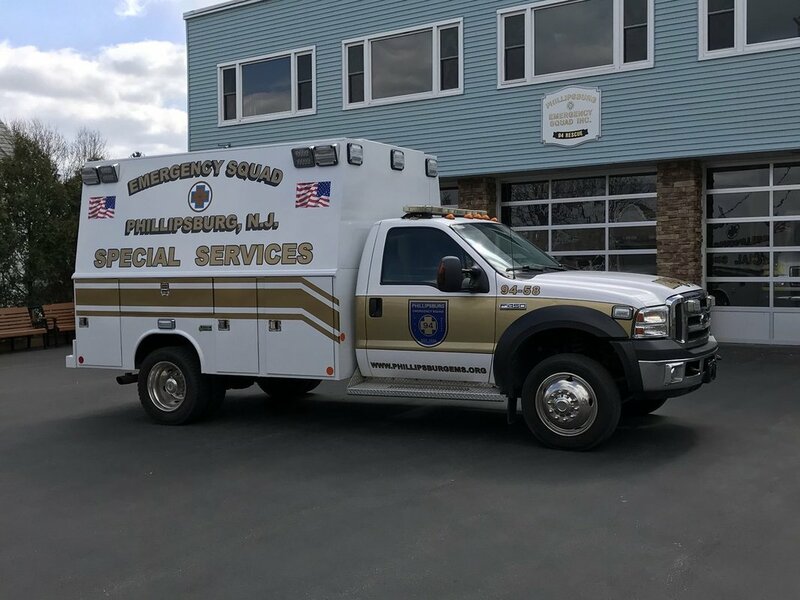 This unit is replacing a 2000 Ford retired ambulance van. 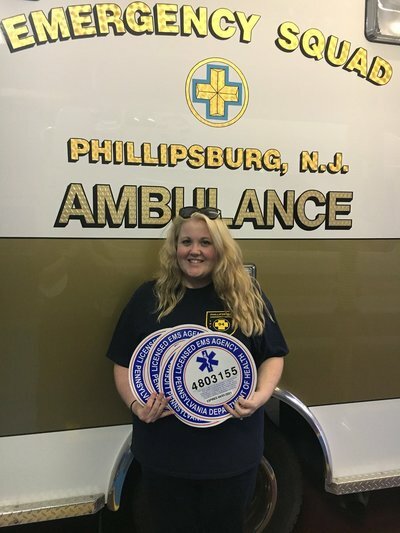 The Phillipsburg Emergency Squad would like to announce some more exciting news. 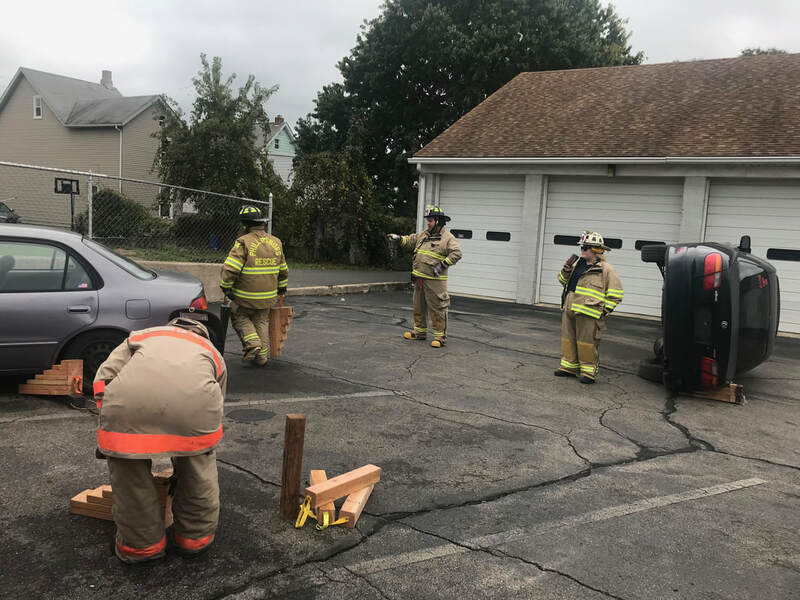 Today, the PA Department of Health Certified four of our ambulances to be licensed in PA. By doing this we are able to continue assisting our EMS neighbor Easton EMS and provide EMS coverage for the annual Linners vs Easton football game. This was a long process and the organization would like the thank the membership for all the hard work they have put in to make sure everything was ready for the inspection. 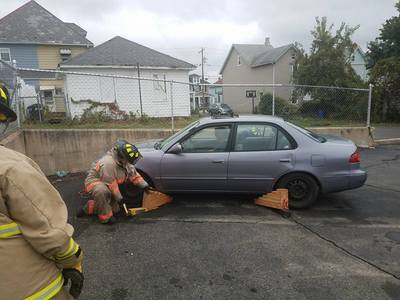 The organization would also like to recognize Captain Dagon (pictured below) for all her hard work and dedication to the organization and the PA licensing process. The Phillipsburg Emergency Squad recently upgraded their equipment to better suit the needs of the members and community. 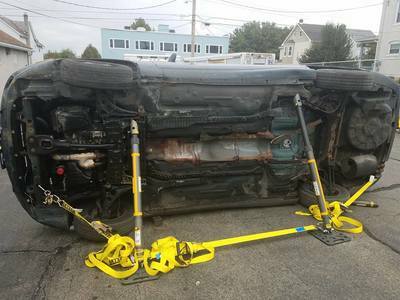 In this upgrade, the squad purchased a Stryker Power Load System and Power Stretcher. This new system is capable of lifting up to 800lbs with the push of a single button. 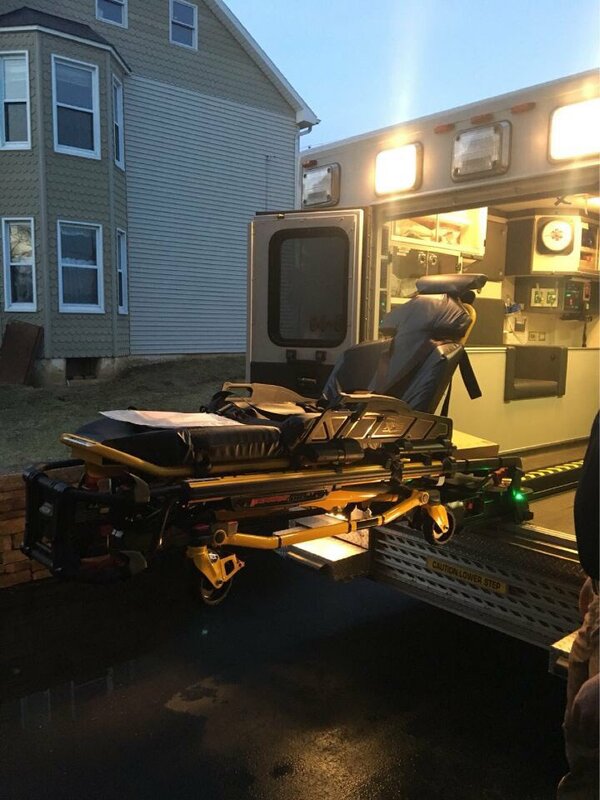 The system will load the stretcher into the ambulance with guidance from the member operating the equipment which will reduce the risk of injuries to our members. This is just another example on how the organization continues to improve the overall picture of care for the community. 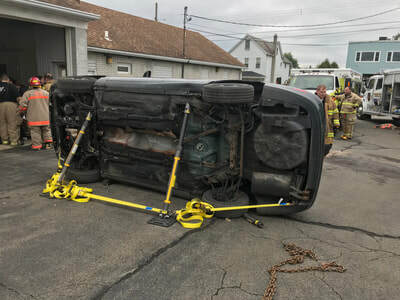 Rescue Company members of the Phillipsburg Emergency Squad spent their morning practicing basic vehicle stabilization and slightly advanced stabilization techniques. 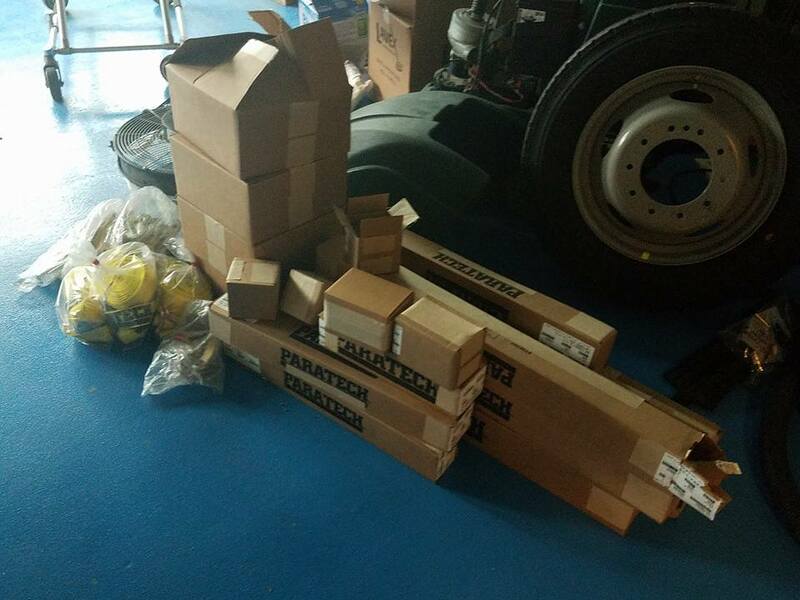 The squad recently purchased new Paratech Struts to outfit their Heavy Rescue. Today, members put these new "toys" in service and practiced their techniques to become familiar with the equipment. 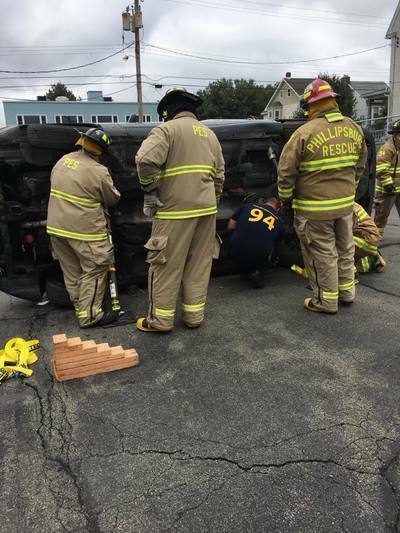 Members also spent a good amount of time refreshing and improving their skills on the basics. 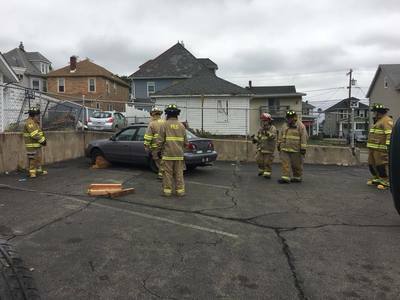 The Phillipsburg Emergency Squad attending Phillipsburg Pork Roll Palooza. Our recruitment team is out and about and EMS crews covering EMS calls. 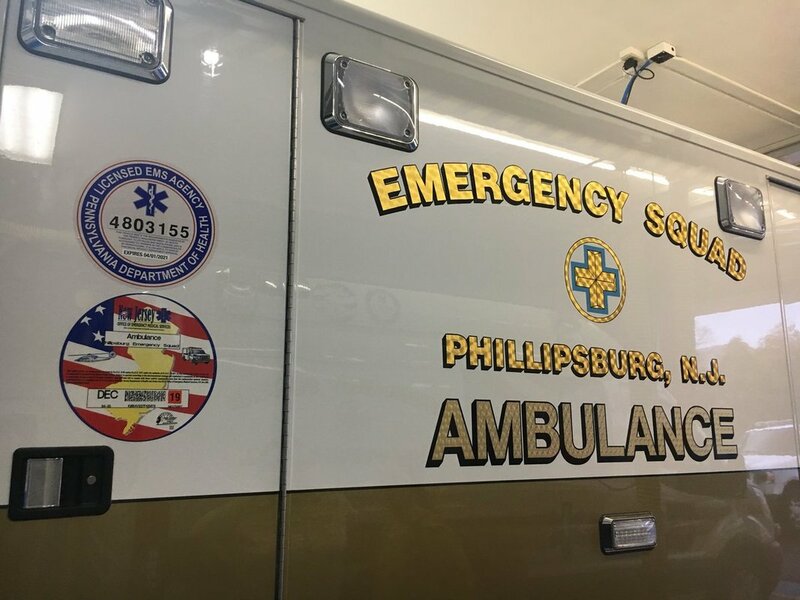 ​The Phillipsburg Emergency Squad is looking for qualified EMTs to join our Career Staff team! Current Hours available are Monday - Friday 6:00AM to 6:00PM. Wage rates are determined by experience. 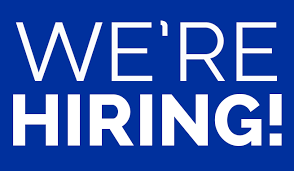 For more information please visit our membership application page or may also E-Mail us at applications@phillipsburgems.org and we will get back to you shortly. Our President Christopher Lee & VP Russ Bogoly Jr signing for Our New 2017 Ford F-450 Ambulance. We decided to remount our old box on this great new chaise with liquid springs saving our organization approximately $120,000!! We will continue to support having one 4x4 ambulance in our fleet. Thank you Pl Custom Emergency Vehicles for working great with us. The Phillipsburg Emergency Squad is deeply sad to announce the passing of Eric Uliana. He fought long and hard but sometime cancer is too aggressive. We thank him for his great service to the EMS field and our communities that he served. We will miss you Eric and my you now RIP. God bless you and your family.